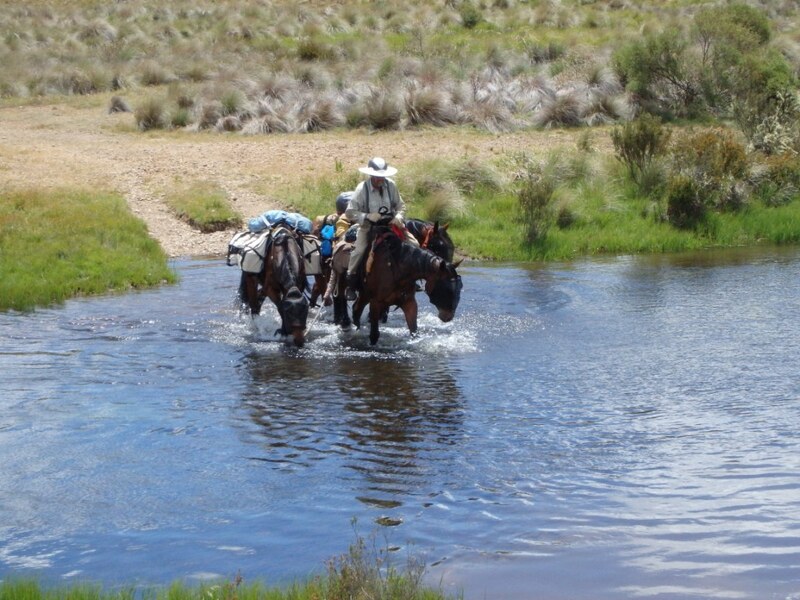 A Standard Journey: 5 horses, 2 people and 1 tent by Jackie Parry. Available in digital or paperback format. They rescued five horses from an unknown fate. They sold everything they had. With daring inspiration, Jackie and Noel trained the lost and confused horses, and forced their own unfit bodies to meld into one team. 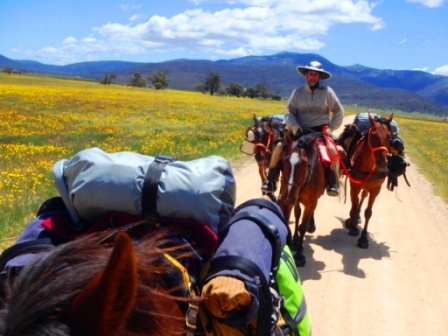 Life became horses, trail, endurance, and camping: all seven reliant on one another as they trekked along part of Australia’s majestic Bicentennial National Trail. What started as a dream adventure turned out to be more than they had ever imagined. 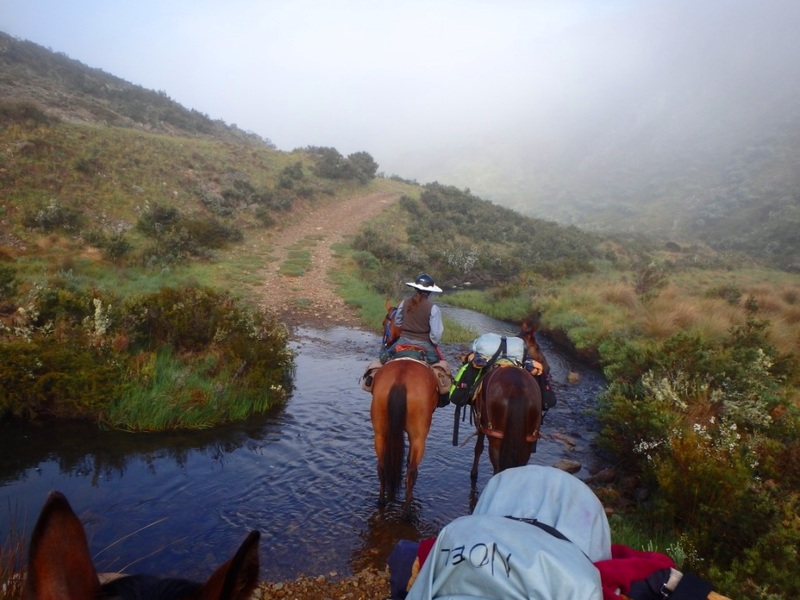 The beauty of the trail didn’t lessen its dangers; with minimal support and all their worldly possessions on horseback, Jackie and Noel made mistakes and with humour learned the hard way. They were amateur horse-handlers, tackling an epic challenge, but they created something special, unique, and incredibly endearing. Fears were faced, healed, and conquered. Bonds were forged. But did the team of seven that started together, finish together? 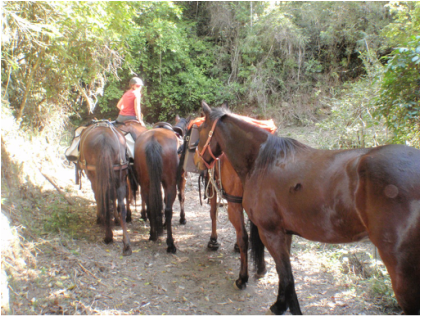 Saddle up and take a ride along life’s natural trail of trauma, fear, pain, and loyalty. 3 of 3 people found the following review helpful Another Must Read! Jackie Parry’s new memoir, A Standard Journey, is a hauntingly beautiful book, one that will stick with readers for a long time. Parry and her husband, Noel, sold their possessions and invested all their time and money into rescuing five former racing horse, who likely faced death if they were not adopted. 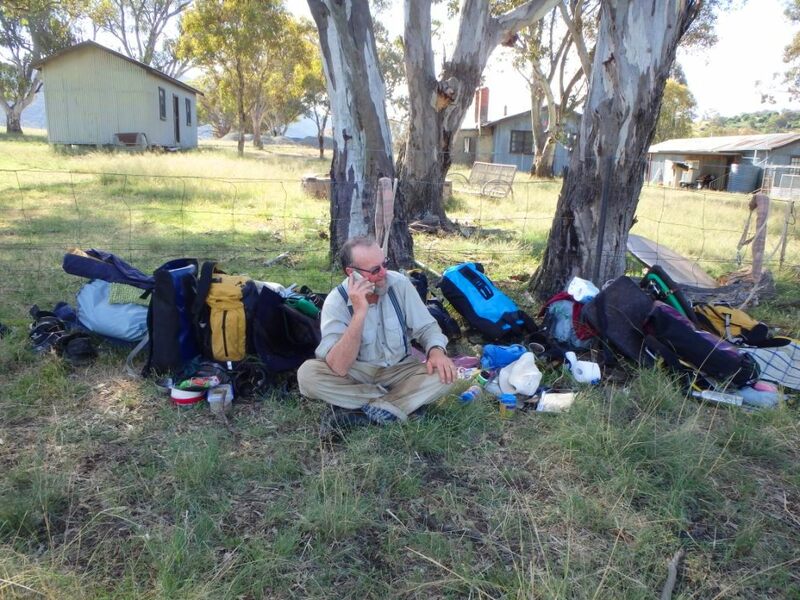 The couple worked hard both to gain the trust of these emotionally scarred animals and train them to trek Australia’s Bicentennial National Trail. The journey was not all they had expected, however; the trail presented obstacles at every turn: from busy highways and skittish horses, to rough weather, rougher terrain, and the threat of wildfires, to serious injuries and near brushes with death, all without reliable cell phone service. The journey itself makes for incredibly engaging and interesting reading. The details of the trip are fascinating, and I often couldn’t put it down. The best part of this book, though, is how connected I felt to Jackie, Noel, and the horses. The writing is excellent, and the book is written in a personable, conversational style, as if the reader is chatting with an old friend. I got such a sense of Jackie’s personality through her writing style, and the kindness, determination, and humor of both Jackie and Noel shone through on every page. The horses, each with his own distinct personality, are as real and vividly drawn as the humans in this book. They quickly became almost surrogate children to Jackie and Noel, and to the reader as well. The moments when the horses get “naughty” are hilarious, and it is equally hilarious how much they are able to wrap their owners around their little fingers (or should I say hooves?). This book is a must read; it’s equal parts adventure, comedy, and tear-jerking drama. I was so sad when it ended because I didn’t want to leave this couple and their horses behind. Not only do I recommend this book, but I intend to get my hands on all of Parry’s other work as well – she’s an exceptional writer and a kind and thoughtful human being (she’s even donating fifty percent of the book’s profits to horse charities so other horses can be rescued!) and I can’t wait to read more about her other journeys.